The Academy of Arts and Sciences, by B. Smith. c.18th Century, after original of 1698. Engraving by S. le Clerc. Classics and Modern Languages enables you to combine study of Latin and/or Ancient Greek with a modern language. The course involves extensive study of major literary texts, alongside training in linguistic skills. The Greeks and Romans were active in all the countries covered by the available languages. 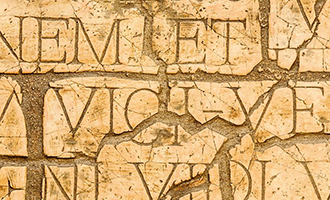 Not only does studying this course help to give students greater access to the ancient cultures, it is also a chance to examine how classical literature and culture have shaped their modern counterparts. Some options provide an opportunity to directly compare texts from both sides of the course, focusing on classical influence on modern European literature. Oxford has the largest Classics Faculty in the world, and the Medieval and Modern Languages Faculty is one of the largest in the country, with a major research library, the Taylor Institution, and a well-equipped Language Centre. 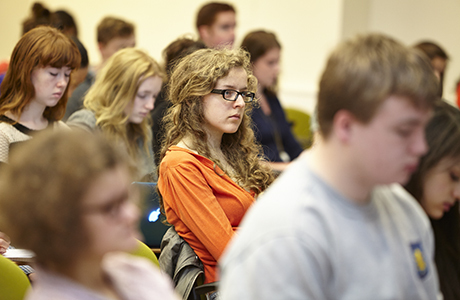 Undergraduates have access to the Sackler and Bodleian Libraries, the Ashmolean Museum and a dedicated Classics Centre. Students develop oral proficiency in the modern language by regular contact with native speakers. Classics and Modern Languages students spend a compulsory year abroad. They may work as paid language assistants in a foreign school or do internships abroad, both of which provide valuable opportunities to develop career experience while improving language competence. The year may also be spent studying at a foreign university. Students are encouraged to spend as much as possible of their vacations in the countries whose languages they are studying. In addition to the possibility of Erasmus funding, extra financial support, including travel scholarships, may be available from your college and/or the faculty. “There’s a strong emphasis on literature in both halves of this degree, but the authors you choose to study can be virtually any from classical to medieval to modern. There’s a chance to look at other disciplines, too, like history, archaeology, philosophy or linguistics. Classical influences can be found in all sorts of places, which means you often pick things up quicker in modern languages too. Your time is divided between lectures, tutorials and private study. The working week is typically structured around two tutorials in different subjects. Most of your independent work will be in preparation of essays for your tutorials, although systematic language-learning and reading of texts will also require considerable time and effort. Much of the teaching will take place in your college, but lectures are given in the Classics Faculty, the Faculty of Medieval and Modern Languages and the Examination Schools. For particular subjects you may also work with tutors from other colleges. Two routes through the course, called ‘options’, are available to CML students. This is separate from whether you will study Course I (if you have studied Latin and/or Greek to A-level standard or equivalent) or Course II (if you have not). You will be asked which route you wish to take only after you have applied to Oxford. The two routes are identical in their last two years, and lead to the same final exams; they differ only in their first one or two years. As for Classics for the first five terms. Course II students follow Classics Course II. In addition, undergraduates normally maintain their modern language through language classes. Final University examinations: nine papers in total (eight compulsory, one optional) plus oral exam in the modern language. A thesis may be offered in place of one of the compulsory papers in Classics. The options listed above are illustrative and may change. More information about current options is available on the Classics and Modern Languages websites. Candidates are not required to have studied Greek or Latin at the point of application. Course I is designed for candidates with Greek and/or Latin to A-level, Advanced Higher, Higher Level in the IB or equivalent. Course II is tailored for candidates without an A-level or other qualifications in either Greek or Latin. Classics II candidates would usually be expected to have studied the modern language before, or to speak it at home or school. Essential: Candidates would usually be expected to have the language to A-level, Advanced Higher, Higher Level in the IB or another academic equivalent. Essential: Candidates may apply with an A-level or equivalent in the relevant language or for a beginners’ course, which allows students to start studying one of these languages from scratch. Beginners’ courses are not available to Course II candidates, who will be taking a beginners’ course in Ancient Greek or Latin. All candidates must take both the Classics Admissions Test (CAT) and the Modern Languages Admissions Tests (MLAT), as part of their application. Separate registration for each test is required and it is the responsibility of the candidate to ensure that they are registered for these tests. We strongly recommend making the arrangements in plenty of time before the deadline. Everything you need to know, including guidance on how to prepare, can be found on the CAT page and the MLAT page. Description: Please check the written work requirements for both Classics and for Modern Languages.You will see that candidates are required to submit a piece of written work in English for the Modern Languages part of the course (along with work in the chosen Modern Language). If you would like to use one of the same pieces that you submit for Classics, please send us two copies of this piece of work. Successful candidates will be expected to display competence in Latin or Greek (or general language aptitude if applying for Course II). Tutors in both Classics and Modern Languages are also looking for potential and an enquiring mind, as well as real commitment to this wide-ranging subject. Careers for CML graduates include the media, teaching, acting, management, the law, publishing, advertising and librarianship, as well as working with international companies or organisations. Liliana says: ‘I chose to do a Joint Schools degree in Classics and French as I was interested in Europe, its languages, and its classical heritage. Moreover, the breadth of the degree was very attractive, especially for interdisciplinary research ... I often found myself drawing on my previous knowledge and skills, especially with regard to untranslated texts and reworkings of classical material. Plus, the range of subjects I’d studied earlier meant I was ever ready to explore new fields and languages. See KIS data for this course. Are you interested in this course? You might also like to consider other Classics or language courses.